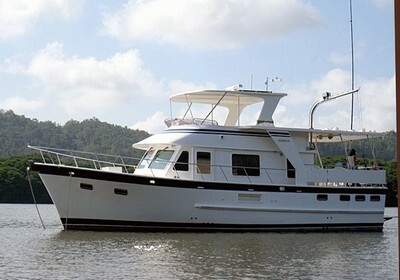 It looks like the DF 44 Offshore Cruiser, but it is a new design that is longer and wider. The vessel shown here, Maimiti, actually cruised from the Atlantic, thru the Panama Canal, and crossed the Pacific Ocean on its bottom! 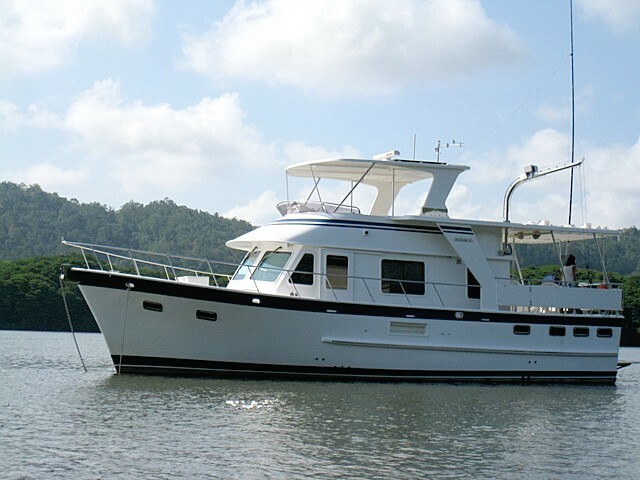 This popular design features an owners stateroom and private head aft with king bed, a guest stateroom with head forward, and a very spacious bridge and aft deck. The forward stateroom may be either a V-berth or and island queen berth. The fly bridge hardtop is an option. LOA is 44'10", LWL is 40'-10", Beam is 16'-0", Draft 4'-8", Displacement 41,000 pounds. Fuel 980 US gallons, water 350 gallons. 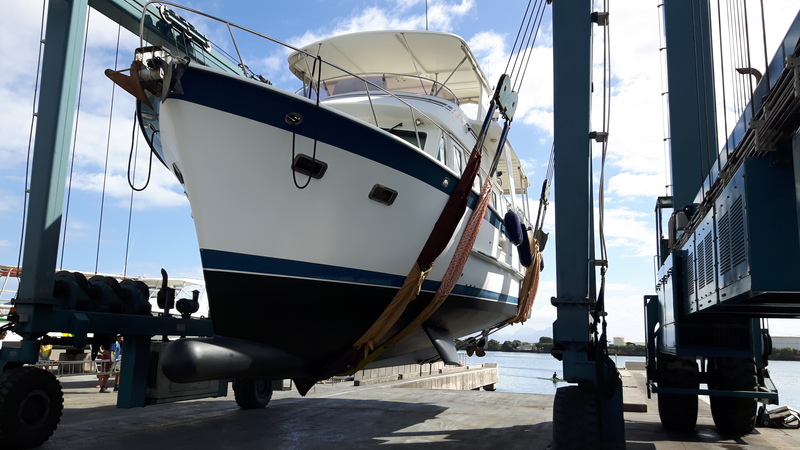 Twin 135 HP Diesel engines. Solid FRP semi-displacement hull. The new DeFever 50 Cockpit model is essentially the same boat plus a cockpit. Both are in current (2012) production by POCTA. Go to www.PoctaDeFever.com for more info and pictures.